i remember the add in sales here, but didnt he say that was working ok for 900€ ... hehe... it wasn't the same game.. There are currently a couple of US Dragon's Lair control panels available on ebay. I know the fixations are different than the Atari ones, but I'm wondering if it would possible to use on my Atari cabinet the US one without too much modification? Unfortunately I don't have a US panel to compare and spot all the differences? But if you continue on that path, you will need to buy your whole village. I still love your madness, master. Is there any chance you can take closer pictures of these connectors/wires in the bottom of the picture? It would help me a lot to see the wire colours. 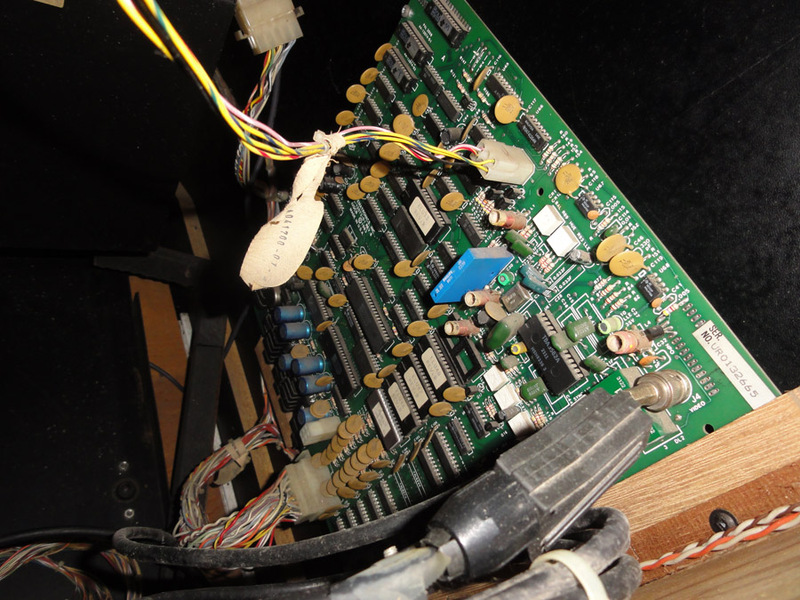 Well, the board is no longer connected in my Atari DL #2 cabinet. But I should be able to get pictures from the inside, without the boards if it can help? Yes, that would be great! Especially those connectors (so that I can see the wire colours), as I'm trying to convert mine back from JAMMA.